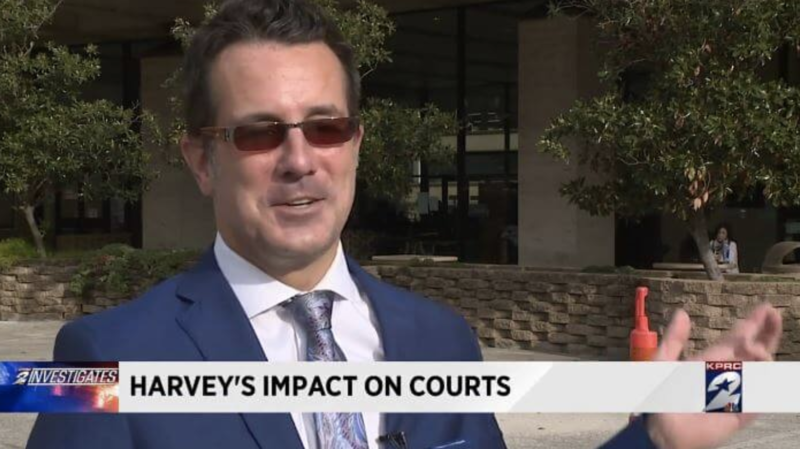 Home » News » How did Hurricane Harvey Affect Houston’s Justice System? Hurricane Harvey ripped through the city of Houston and created some lasting damage. What some may not know is that Harvey’s rains didn’t just hit residential areas, but Houston’s criminal justice system. The Criminal Justice Center located in downtown was swamped because of the aftermath of Hurricane Harvey. The building has and remains shut down until the flooding has cleared and the pipes are fixed. The debacle has forced Houston’s criminal justice system to rewrite itself overnight. The District Attorney’s Office had to temporarily shut down due to damage from the storm. Now 700 DA employees have been distributed among ten locations throughout Houston. Houston courts are also forced to creatively tackle the problem. Many criminal court judges and cases must share courtrooms with civil and family judges. Jury duty selection has also dwindled since the underground jury assembly room has sustained massive flooding. Potential jurors must now head to an assembly room in the County Administration building’s cafeteria.